Welcome to "Consumer Ed Café...Food for Thought" featuring Director Eric Friedman. This online interactive consumer education forum allows residents in Montgomery County to send questions directly to Office of Consumer Protection Director Eric Friedman, Answered questions will be available at the beginning of the live session and selected questions will be answered during the scheduled discussion time. Montgomery County Office of Consumer Protection Celebrates National Consumer Protection Week - Looking to protect yourself from identity theft and scams? We are hosting this live discussion to answer your scam related questions. If you have been a victim of the IRS Imposter Scam, identity theft, or other fraud, please submit your question. Every year, National Consumer Protection Week (NCPW) encourages people and businesses to learn more about avoiding scams and understanding consumer rights. This year, OCP is introducing its Business Liaison initiative. This service is aimed at promoting good business practices to ensure a fair marketplace for local consumers. OCP is hosting this live online discussion to address some of the challenges affecting local businesses. Montgomery County Office of Consumer Protection (OCP) Director Eric Friedman will conduct a live, online chat on Thursday, June 26th from noon to 2 p.m. Our nationally recognized consumer experts will answer your consumer questions live. Send us your questions in advance and join us during your lunch break! Office of Consumer Protection (OCP) Director Eric Friedman will conduct a live chat on October 24 from 1 to 3 p.m. This installment of OCP's Consumer Ed Café series will focus on issues affecting the Hispanic Community. * Español * Eric Friedman, Director de la Oficina de Protección al Consumidor, presentará una charla en línea que se enfocará en asuntos que afectan la comunidad hispana el día, 24 de octubre desde la 1 hasta las 3 de la tarde. Por favor, envíe su pregunta aquí. Office of Consumer Protection (OCP) Director Eric Friedman will conduct a live, online chat on Thursday, January 10th from noon to 2 p.m. This installment of OCP's Consumer Ed Cafe series will focus on the Office of Common Ownership Communities, the division of OCP that handles disputes between residents and their condominium or homeowner associations. During this online chat, OCP’s director will answer your questions about your condominium or homeowner association. 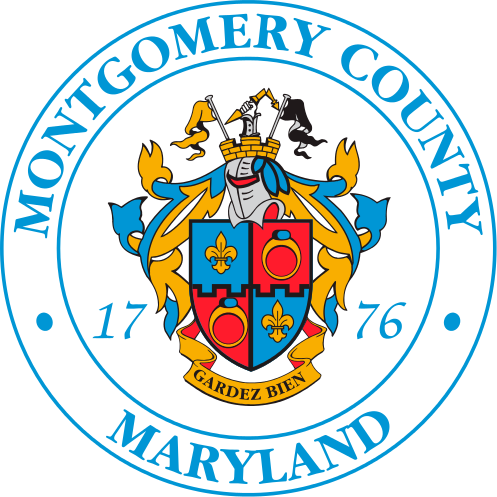 Montgomery County’s Office of Consumer Protection Director Eric Friedman will conduct a live, online chat on Tuesday, October 9th from noon to 2 p.m. This online discussion is part of the “Consumer Ed Café…Food for Thought” series of online chats. The topic for our latest installment is: What You Need to Know About Towing in Montgomery County. Eric Friedman, OCP Director, will host a live discussion,“Consumer Ed Café... Food for Thought: Home Improvement” on Tuesday, July 24th to answer your questions about Home Improvement Do’s and Don’ts. If you are planning a repair/improvement project, dealing with home repairs from the recent storm or are in the middle of a renovation nightmare, be sure to join us LIVE. In celebration of National Consumer Protection Week, please join Office of Consumer Protection Director Eric Friedman on Wednesday, March 7 from 12 to 2pm in a live discussion. OCP’s director will respond, live, to your consumer questions.